The Houston Rockets led the way for the whole game on Friday night as they defeated the Toronto Raptors, 121-119. 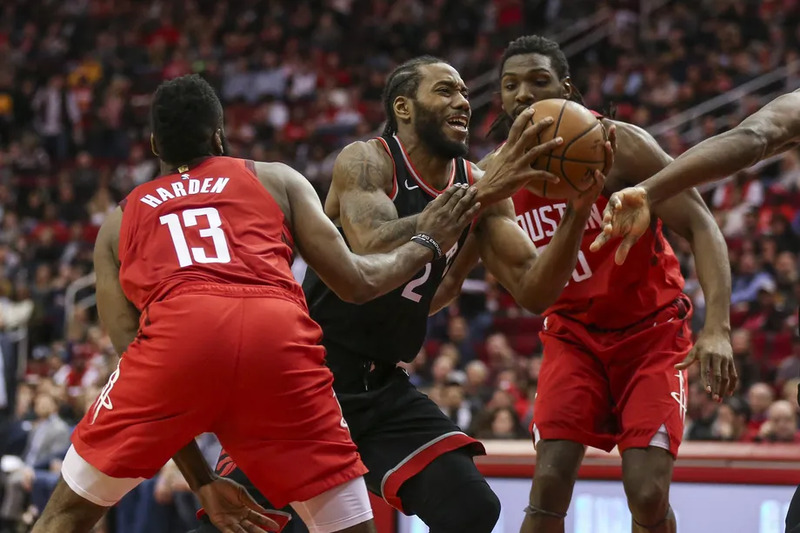 All Houston starters scored in double-figures, including MVP front-runner James Harden after displaying a 61-point performance in New York, was limited to 35 points against the Raptors. Since centre Clint Capela is injured, the Rockets picked up Kenneth Faried off waivers, he recorded a double-double as he scored 21 points and grabbed 14 rebounds. Eric Gordon scored 24 points, former Raptor P.J. Tucker scored 21, and shot 4-8 from three-point range. Austin Rivers scored 13 points. Kawhi Leonard scored 32 points for Toronto, and also had seven rebounds and five assists. Pascal Siakam and Danny Green scored 22 points each. Siakam recorded a double-double as he had 12 points to go along with his 22. Danny Green went 6-10 from three. Serge Ibaka also had a double-double as he scored 12 points and grabbed 14 boards. Kyle Lowry scored nine points and provided 11 assists. The Kyle Lowry and Pascal Siakam partnership was shown on a couple occasions during the game. OG Anunoby returned to the team as well on Friday night, and seems as if he is taking notes from Siakam’s spin moves. The Raptors put everything they could into trying to make a comeback, but their effort was not enough. They are now 1-1 on this road trip, and close it out in Dallas on Sunday evening when they play the Mavericks. Featured image from Troy Taormina/USA Today Sports.